Combines features and benefits of the previously described Enduro Seal with the advanced tracking capabilities of bar coding technology. The BT Aluminum Meter Seal® is a security device for sealing electric meter back plates. The meter seal requires no tools to install or remove. The base is stamped “SEALED”, and the seal is scored to fracture if unauthorized entry is attempted. Up to four letters can be stamped on flag, with the option of stamping on both sides with request. The seal comes in a variety of colors. Standard packing is 1,000/bag. 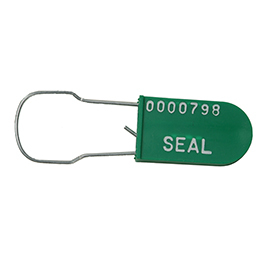 This seal has the same features as the bar coded Enduro® Seal. However, the Identa- Seal® offers a vinyl label printed with your custom message with characters ranging in size from 3/8” to 1/16”. 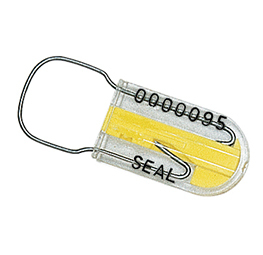 This seal is ideal for use as a long-term identification tag. Constructed of durable acrylic plastic and is designed to provide long service life in harsh environments. Available with a solid body and contrasting color insert or with a transparent body and solid color insert. 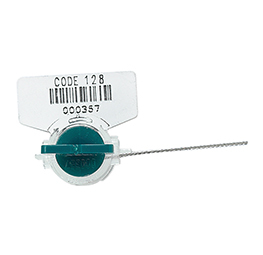 Seals are heat stamped with company identification and sequential numbering. Should tampering attempts take place, inclined ramps on the insert force the wire legs to break out of the body providing visible evidence. 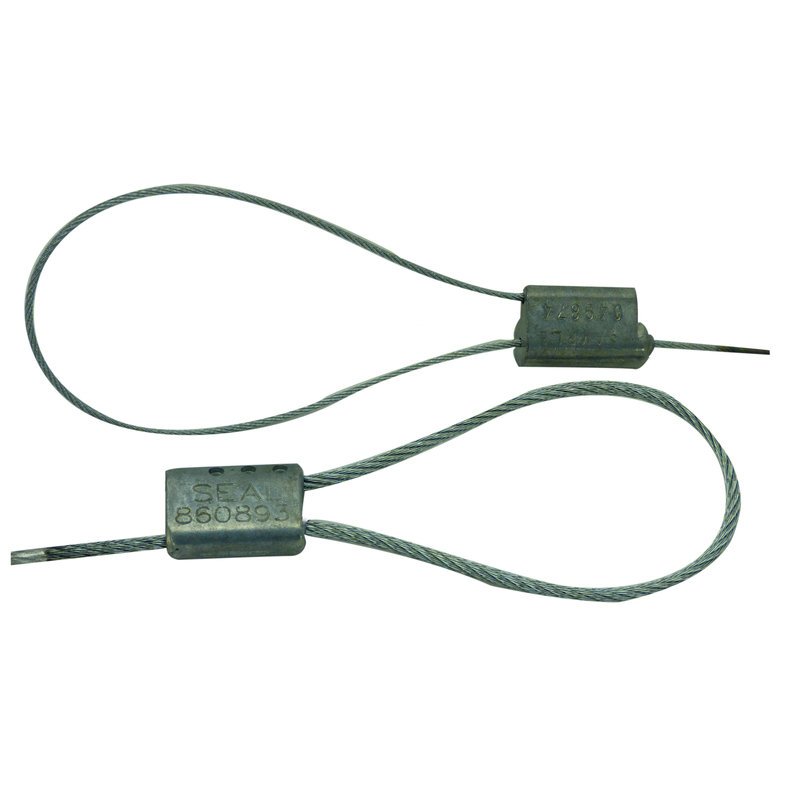 A medium-duty seal featuring galvanized, non-preformed security cable. Cable frays when cut to indicate tampering. Standard lock body is constructed of corrosion resistant cast zinc, and available in non-ferrous for flammable environments. 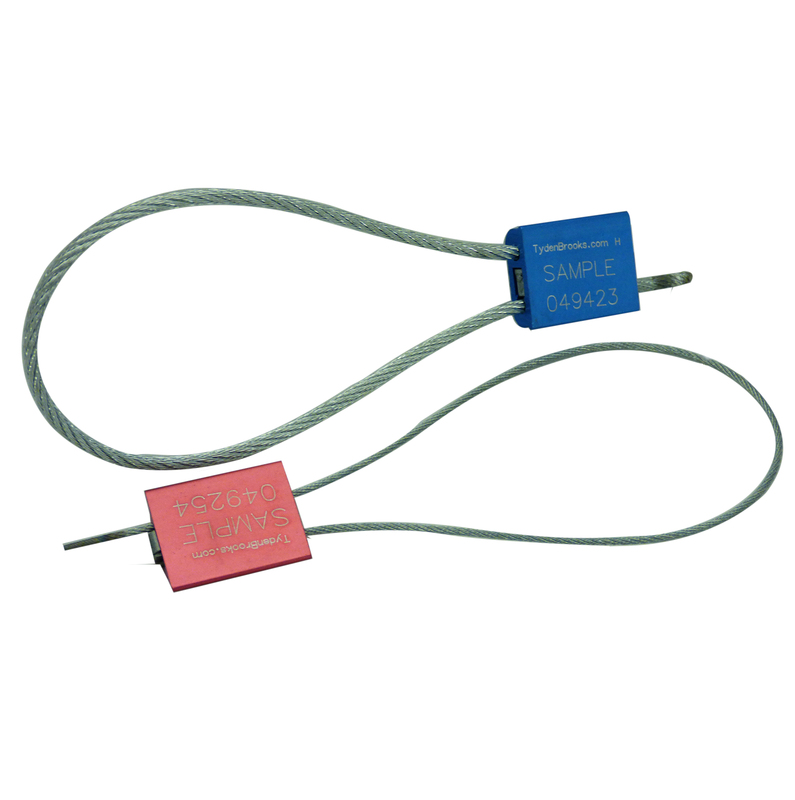 This tamper-evident cable seal separates into individual strands when cut, and cannot be resealed. The seal body is constructed of aluminum alloy and provides added durability over plastic bodied seals yet maintains color and customized identification. An aluminum seal designed for quick installation. Ideal for use on all demand reset mechanisms, the Multibar is self destroying if tampered with. It is available in a variety of colors to insure monthly identification and can be stamped with company initials and consecutive numbering. The NL-2 Anchor was designed as a replacement for lead seals. 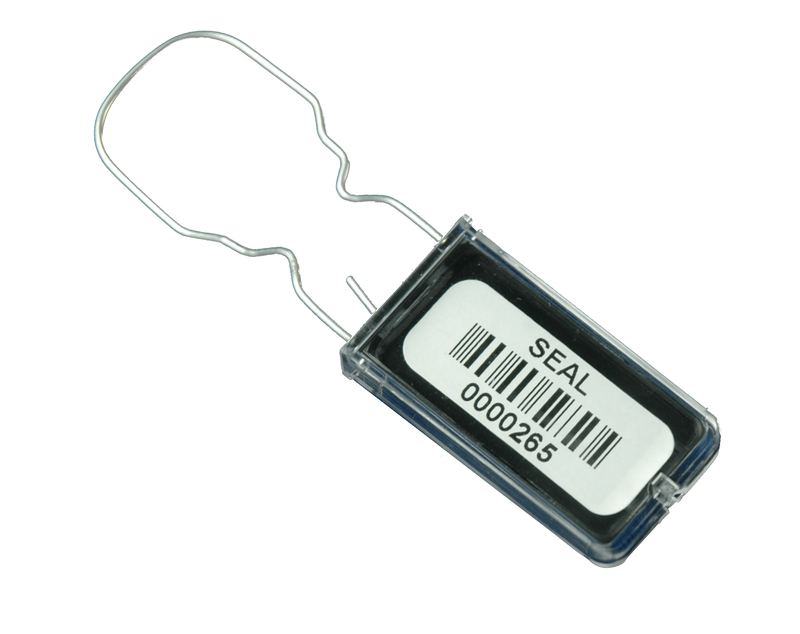 This seal type contains a polycarbonate body, which interlocks with a polycarbonate insert. 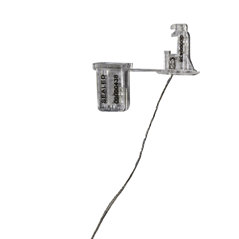 It is available as standard with clear body and 18" attached stainless steel wire. Also available in other colors with a minimum of 50,000 units. The NL-3 Anchor seal was designed as a replacement for lead seals. 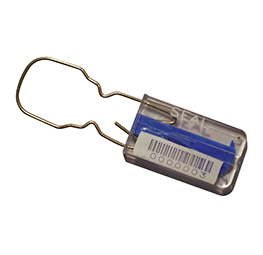 This seal type contains a polycarbonate body, which interlocks with a polycarbonate insert. The NL-3 features a second number on the insert for higher security applications. 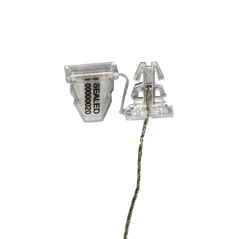 It is available standard with clear body and insert with 18" attached stainless steel wire. Available in other colors with minimum of 50,000 units. Prevents unauthorized access to metering data. Safeguards ports from the environment. Company name/logo may be inserted. This patented device is easy to install and seal with long-term, demand or cable lock seals. The same Plastic Padlock as described on page 32 can be decorated with a caduceus symbol, commonly used by medical organizations. The symbol is heat stamped along with a 7 digit number. 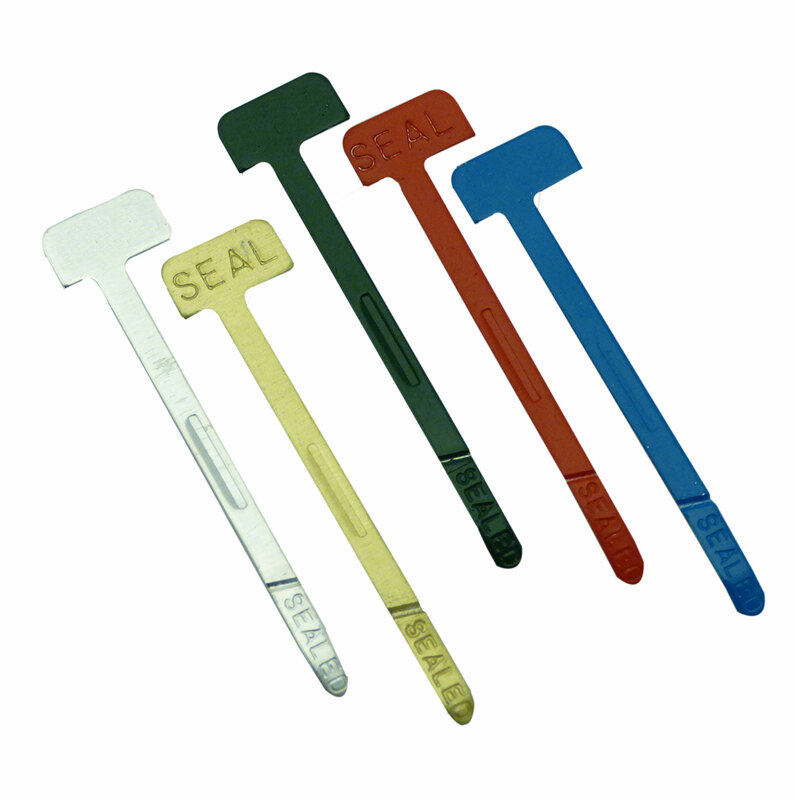 These seals have a polypropylene UV inhibitor body and are available in a choice of galvanized or stainless steel hasps. 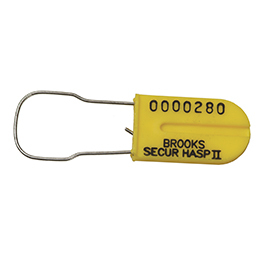 Offered in a wide variety of colors, they can be cold or heat stamped with company name or logo and consecutively numbered. 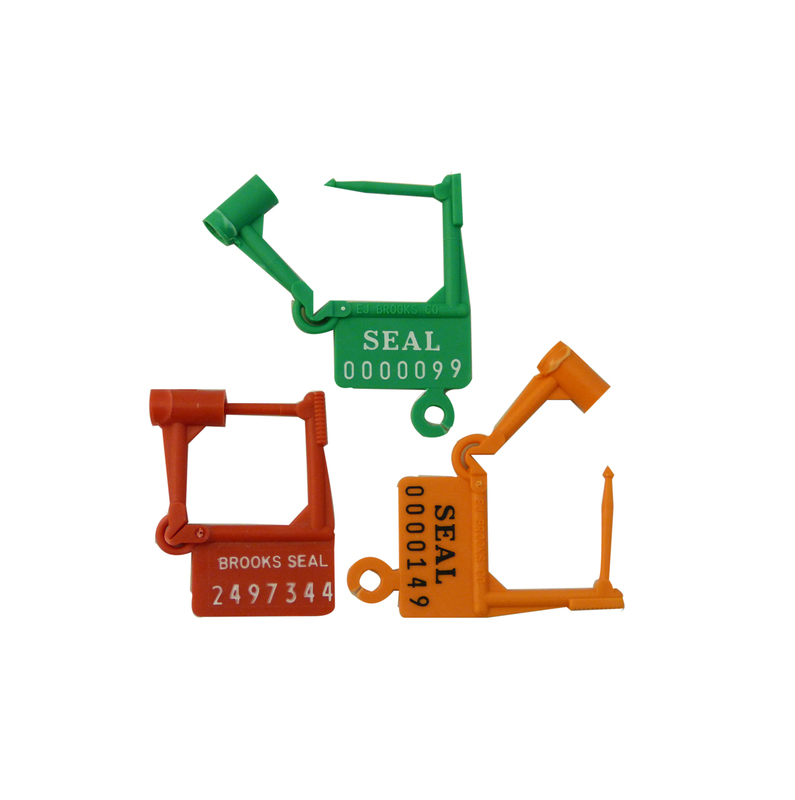 Plastic padlock seals can also be supplied with a blank panel, enabling you to write a descriptive identification right on the seal body. The ProngLok Pro 4 Seal is a metal “crimp” seal used in conjunction with a wire and secured with a sealing tool. 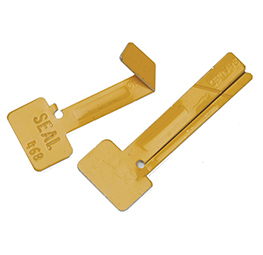 The sealing tool provides a secure fit and a large flag provides room for embossed information. Once crimped, the wire cannot be removed without being cut or destroying the seal. Easy to install and use, it is available in aluminum or zinc coated steel. Standard packing is 1,000/box, 5,000/carton. 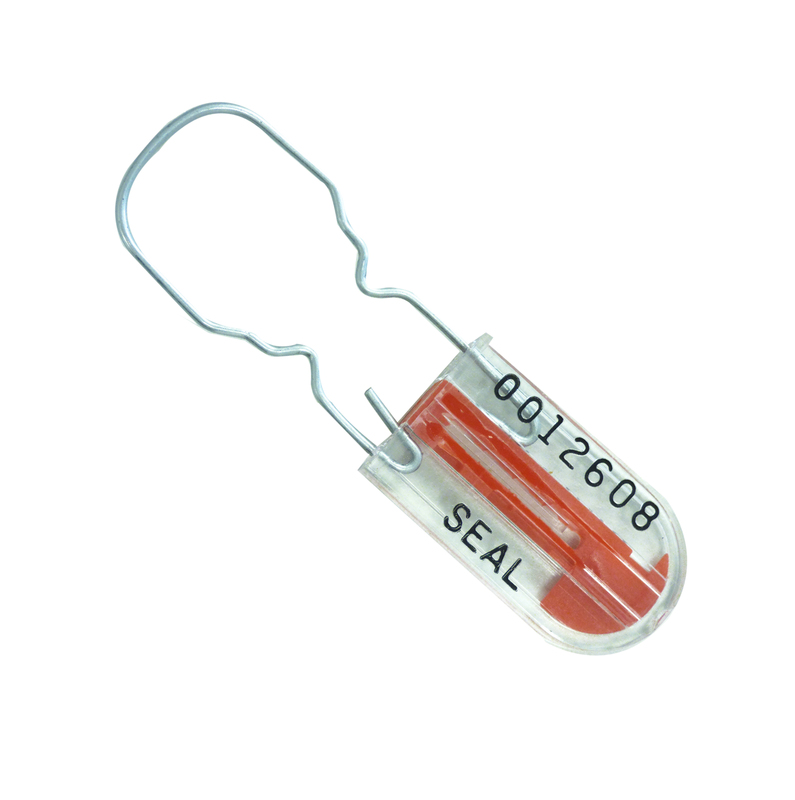 Is a two-piece acrylic seal with a transparent body and colored insert. It is an ideal seal for securing applications with small diameter holes. It utilizes a unique sealing press with the same, simple squeeze action used to affix traditional lead and wire seals. Color coded insert and heat stamped numbering promotes control and tracking. 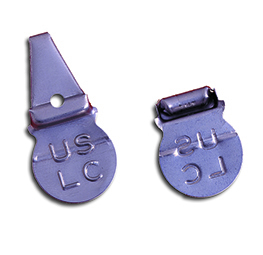 This seal has a polypropylene UV inhibitor body and features a tamper indicating channel and a special hasp configuration that deters access by picking tools. 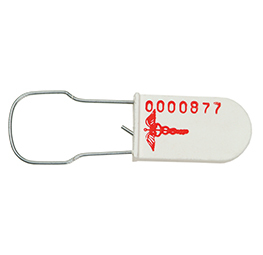 Available in a variety of colors, it is heat stamped for easy reading with alphanumeric characters and seven consecutive numbers for identification and control. 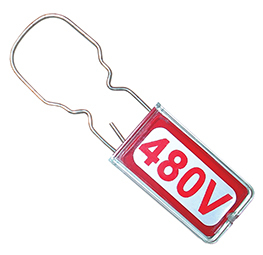 A tamper-evident seal designed for electric meter demand reset mechanisms. It is applied with one hand and removed by breaking its spear with a simple twist. Small hasp fits smaller applications. Spring-Lok® is available in a choice of twelve colors with your company name a seven digit identification number. An optional stringing hole is also available for use with a Spring-Lok® key ring. Coupled with the standard Enduro Clear Body, the Tamper Guard Enduro® seal features a colored insert with an integrated center cavity. Its design allows the pointed hasp end to penetrate and destroy the insert cavity wall as a clear indication of tampering. This seal operates on the same principle as the Roto-Seal®, but requires no sealing tool. Made from durable acrylic plastic, this seal has a transparent body and a colored insert. It is available with or without a pre-installed stainless steel wire. The Toolless Roto-Seal® features a large flag, which is heat stamped with company name or logo and consecutively numbered. Laser etched bar coding available in Interleaved 2 of 5, Code 39 or Code 128. For added security, the last three digits of the seal number are laser etched onto the insert.